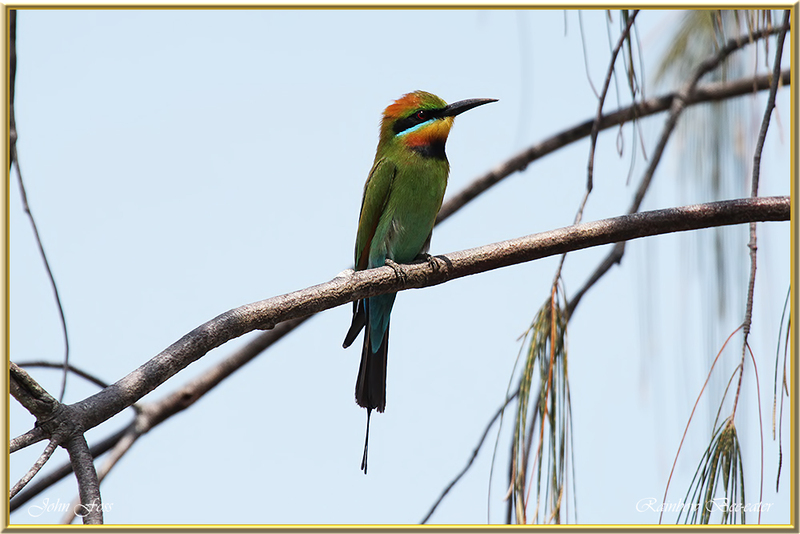 Rainbow Bee-eater - found in open woodlands, beaches, dunes, cliffs, mangroves, woodlands and they often visits parks and private gardens. 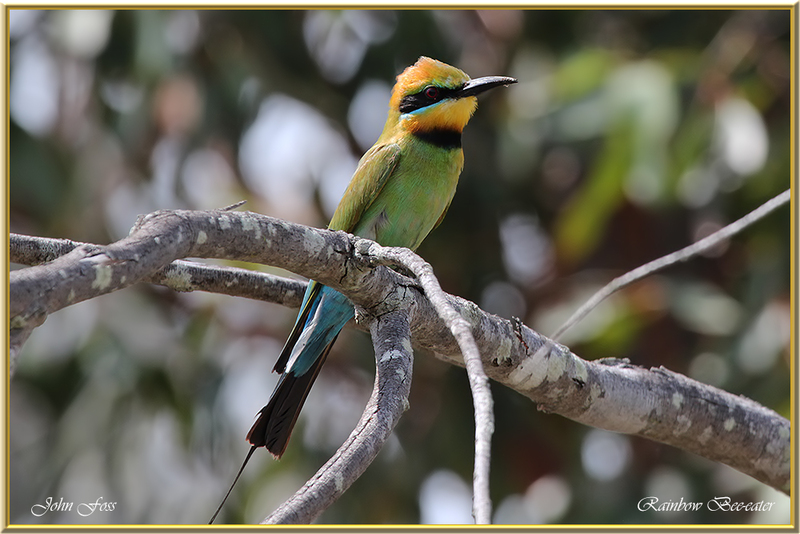 The Australian rainbow bee-eater has elongated tail feathers as shown here. 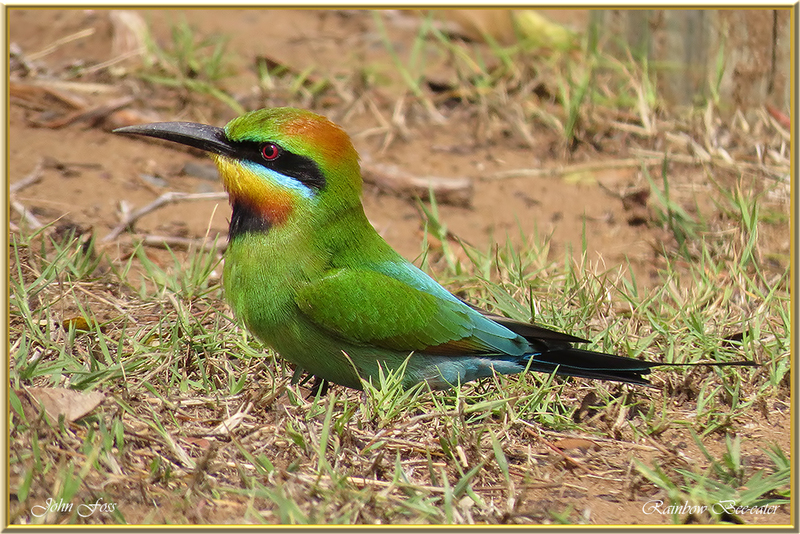 The European bee-eater lacks these elongated plumes. 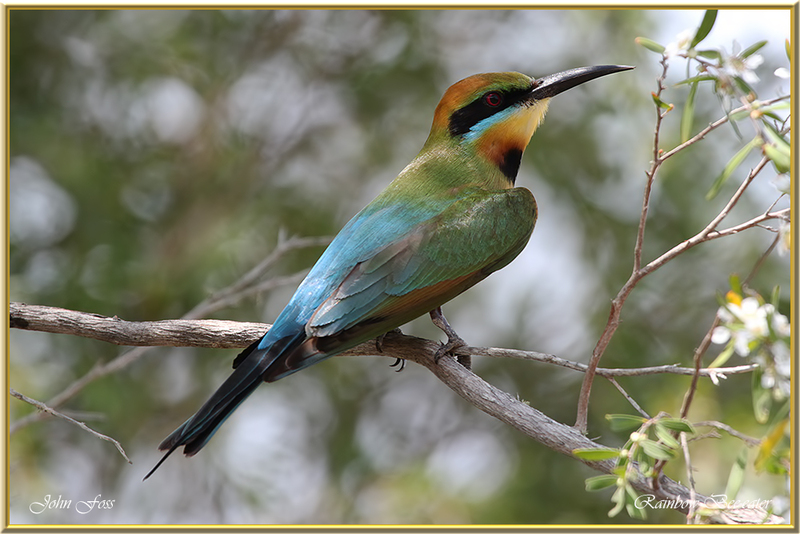 Although bees are the main diet they will eat other flying insects. 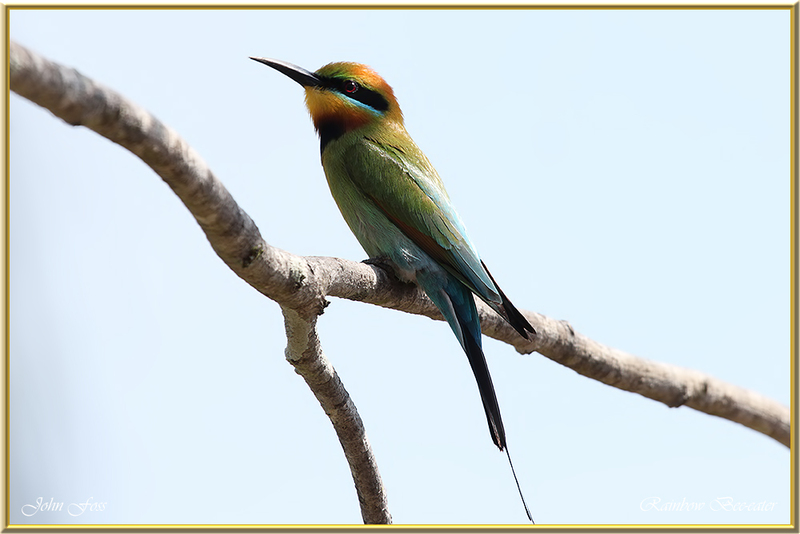 They will swoop from perches to take bees in the air. 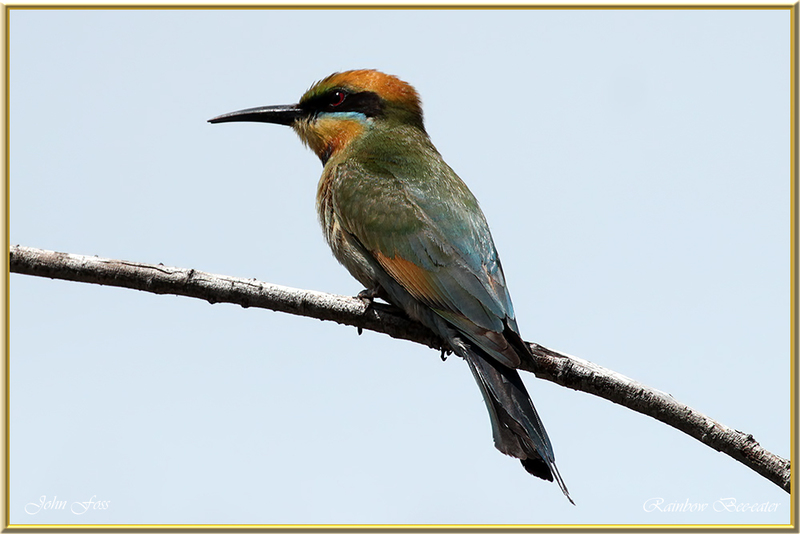 Although they are immune to the bees sting it will still knock the bee or insect against their perch to subdue it. 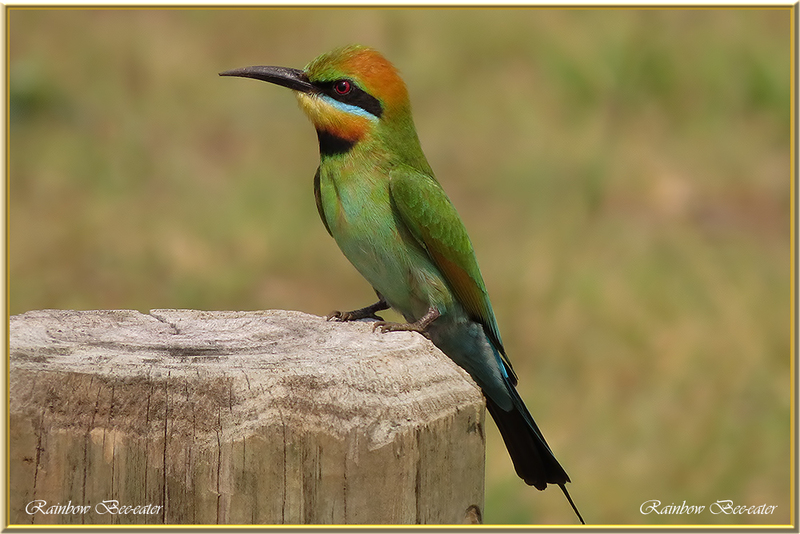 I came across a lot of these beautiful birds at Mon Repos Bundaberg Australia.